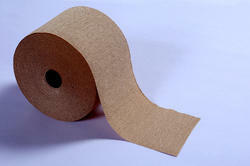 Pioneers in the industry, we offer bedding crepe tape and cable bedding insulation kraft paper rolls from India. We manufacture bedding crepe tapes for cables to retain flexibility of cables while bending. 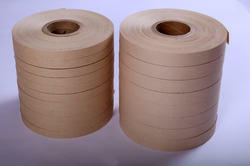 We manufacture a range of specialized Cable Bedding Tapes in various colors and design which are suitable to satisfy the current industry need and requirement. These bedding tapes are constructed for an appropriate fit between bindings and mattress fabrics. We are always ready to fulfill your demand and need. We provide a best solution based on the specifications of an individual regarding designing, weaving, colors and dimensions etc. Looking for Cable Bedding Tapes ?